This banana bread is delicious. 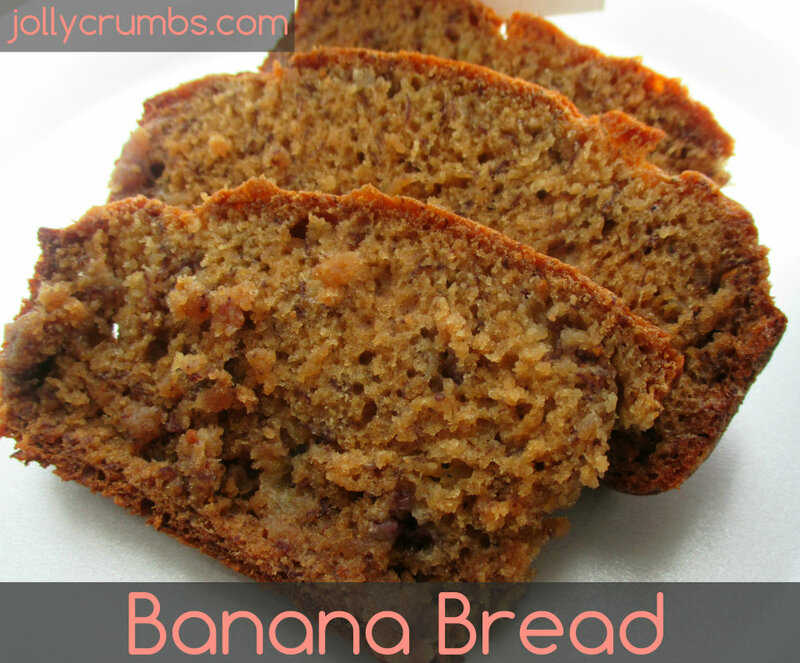 It is very moist, dense, and has the perfect balance of banana flavor and sweetness. I had it for breakfast and for a snack later in the day. The recipe calls for natural ingredients, so it isn’t full of anything unneeded. I don’t put nuts in my banana bread, but you definitely could if you want. I just love this bread for so many reasons. It’s very filling, and it smells amazing while it’s baking. If you are looking for a go-to banana bread recipe, or you want a healthier version of the one you currently use, give this one a try. I don’t think you’ll be disappointed. The first step is to mash the over ripe bananas in a small bowl with a fork. In a separate, large bowl, stir together the flour, baking soda, and salt. In another bowl, mix together the applesauce and honey. Mix in the egg whites to the bananas. 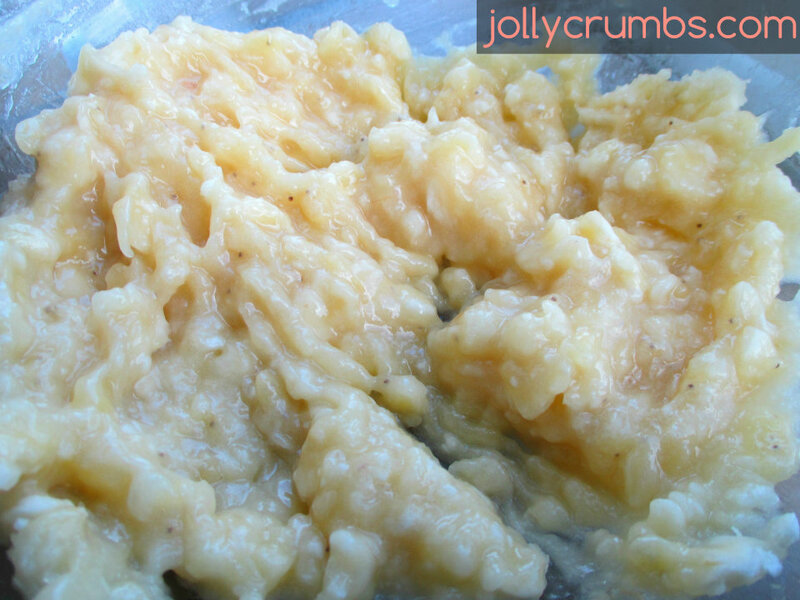 Stir the banana mixture into the applesauce mixture until it is well combined. Then mix the wet ingredients into the dry. If the batter doesn’t taste sweet enough, you can stir in more honey to your liking. You want to stir until the batter is just moistened. Don’t over mix or the bread will be very tough. Pour batter into prepared loaf pan. Bake for 60 to 65 minutes, or until toothpick comes out clean from the center. Let the bread cool for 10 minutes, and then turn it out onto a cooling rack. There are few things that smell as amazing as banana bread while it’s baking. There are also few things as delicious as a warm piece of banana bread with butter on it. 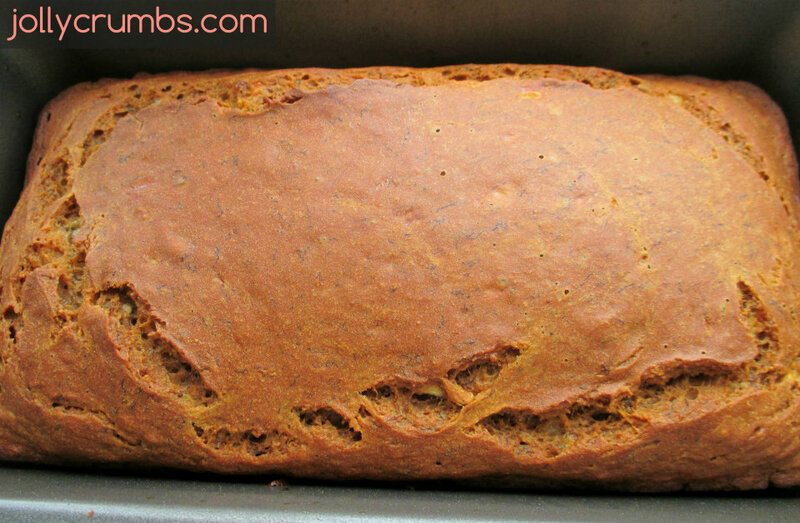 This bread is perfect for breakfast or dinner. It’s very moist, dense, and has just the right amount banana in it. It’s not overwhelming, but it also doesn’t taste blah. This is definitely a banana bread, not a cake. So if you like a heartier banana bread, this one is for you. Preheat oven to 350°F. 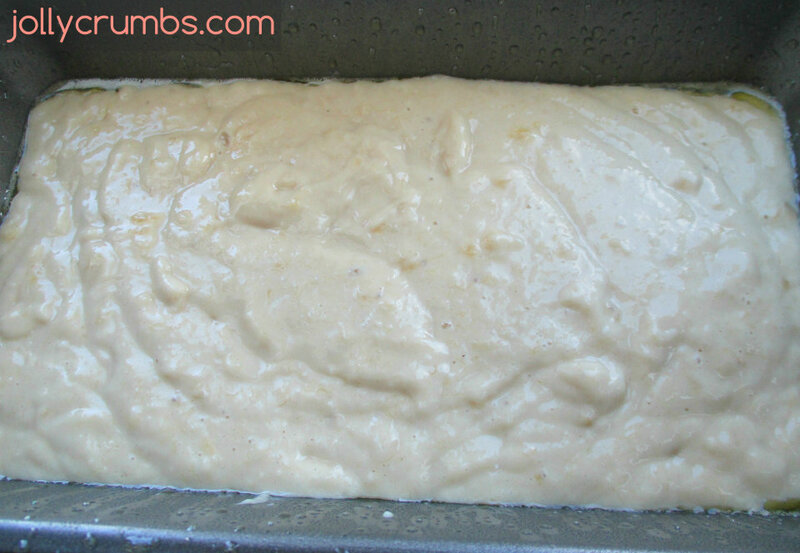 Lightly spray a 9×5 loaf pan with nonstick cooking spray. In a large bowl, stir together flour, baking soda, and salt. In a separate bowl, mix together the applesauce and honey. Mix the mashed bananas and egg whites in another bowl. Stir banana mixture and applesauce mixtures together until well combined. Mix the wet ingredients into the dry. Stir until just moisten. Don’t over mix. Pour batter into prepared loaf pan. Bake for 60 to 65 minutes, or until toothpick comes out clean from the center. Let the bread cool for 10 minutes, and then turn it out onto a cooling rack.